I wish I could say this is a rare situation but unfortunately, it isn’t. 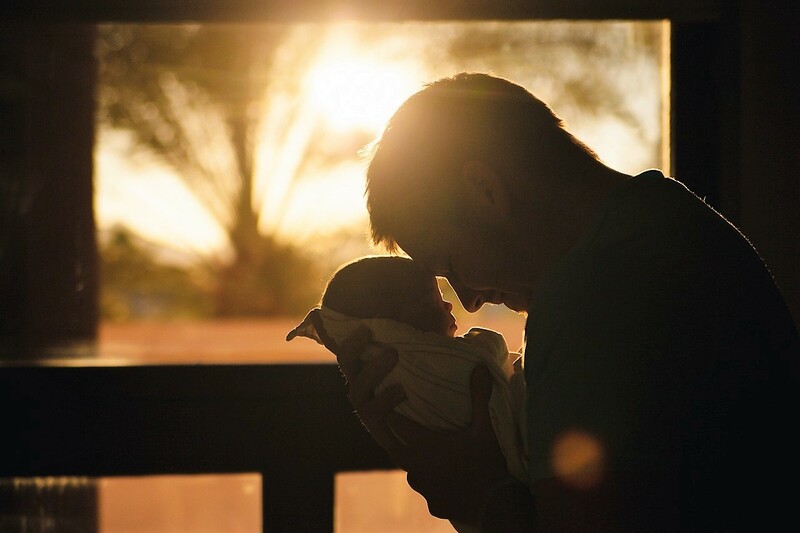 Although my husband always hears from his kids on Father’s Day, I have watched him suffer from guilt as his sons grew up in a divorced family, something he never wanted for them. He was deeply distressed that his kids grew up in two homes. He still wonders if he did enough for them when they were kids. Father’s Day can be very hard for him. This is a complicated topic because I’m bound to offend someone. So let me clarify, every situation is different. I am NOT saying all fathers or stepmothers fit into each category. 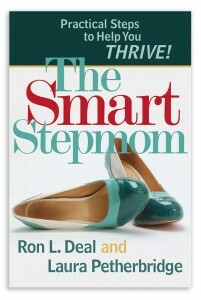 I am sharing tips, based on my own journey as a child in a stepfamily, with a dad who remarried twice. And then as a stepmom who has experienced the Father’s Day holiday 33 times to a man with kids. He is close to his sons now, but that hasn’t always been the case. Learn from my journey. Learn from my mistakes. Consider if any of these fit your situation and then consider if it’s possible you can change something that will help your situation. Stepfamily living isn’t easy, it’s a process. My goal in sharing is to help you consider things that might build a bridge. 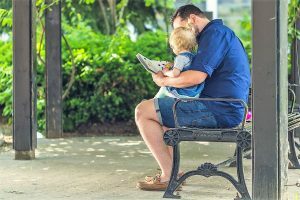 • If intentional parental alienation (PAS) from the mom is the reason why the kids don’t call or connect, keep in mind that as the kids grow older, they often figure it out. Knowing this doesn’t bring immediate relief, but it is the prayer to recite and hope for the future. Stepmoms, please understand that although it’s hard to be married to a man who has a child with another woman, (I TRULY GET IT), this is his child. His flesh and blood. It’s his baby no matter the age. His heart is aching. • Don’t automatically assume mom is alienating (PAS) the kids. It may be their own pain, anger or something occurring in your home that is driving them to a distance. I see many couples automatically blame the mom when it’s the child’s own feelings keeping them away. Are you willing to discover what that might be? • Dad should still do the things he is able to do. This includes showing up at ball games, sending texts, notes, emails, etc. just to say, “I love you” and “I care.” Even if the child doesn’t respond keep doing it. No lectures. No bad-mouthing mom. No criticism. Just “I love you and I miss you.” If mom won’t allow these messages, check to see if another family member, who doesn’t agree with her PAS, to allow them. • Often dad or stepmoms ask me, “Why do I/we have to do all the work, shouldn’t the kids be responsible?” The difficult answer to hear is NO, not unless, or until, they have become adults. Then they must take responsibility for their choices and choose to heal. But before that occurs they are kids. • Seek to view the situation through a child’s eyes, instead of adult perspective. Often dad and stepmom get nasty towards the child when he/she behaves badly or neglectfully. The child is merely reacting to the situation in which they have no say. 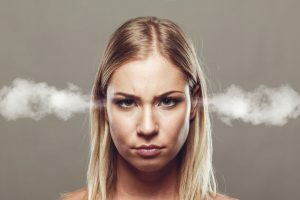 Divorce causes anger, resentment, fear and a whole host of other emotions that many adults view as something the child, “should be over by now.” They aren’t. It has created a paralyzing effect to their brain, development and normal growth patterns. • Look in the mirror. Ok, this one is going to sting. Have you ignored what most stepfamily experts teach or warn about stepfamily living? Did you expect the kids to embrace a stepmom, step siblings, and adding more children easily? Is your remarriage what caused the distance between you and your kids? I realize this one is hard, and painful. We didn’t realize it at the time, but when my husband and I got married his kids (11 and 13) felt they were suddenly abandoned. I know stepmoms will get mad at me for asking this question. But the truth is MANY kids back away from dad because they don’t FEEL as close to him as they did before his remarriage. This is particularly true if dad moved away from them. That doesn’t mean the relationship is doomed, it does mean you may need to work much harder at repairing what is broken. • Dad, did you cause the divorce? I know I’m just digging myself in deeper, but I must speak the truth. Dad, if you are the reason the marriage to mom failed, it is much more likely that the kids will resent you. Again, I’m not implying there is no hope. However, if you have never apologized for the part you played in the break down of your child’s original family, there is no time like the present. Humbly owning your mistakes goes a long way with children. They may not immediately forgive you, but they will remember your honest attempt. • Don’t give up. My oldest stepson didn’t have much of a relationship with his dad until he became a married adult with a stepdaughter and a son of his own. As he and his brother got older they recognized that many of the things their mom told them weren’t true. My husband has apologized to his sons numerous times for the things he should have done differently. This included how poorly he handled the dating, engagement and marriage to me. His admission, tears and respectful attitude about their feelings has helped to mend the fences. Humble hindsight is typically 20/20. Being a stepmom has taught me more about living like Christ than any other circumstance in my life. It’s ALL about sacrifice, for people who may never appreciate it. • Prayer. 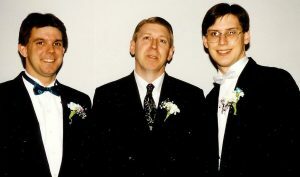 Steve and I prayed for the hearts and minds of his kids more times than I can count or remember. I know God heard those cries. And although it didn’t happen in our time frame, God has restored those years as He promises. “And I will restore to you the years that the locust hath eaten,” Joel 2:25a, (KJV). But it required Steve taking the first step. I used to get very mad at my stepsons for not honoring their dad more often, especially on Father’s Day. Then I realized that the reason it angered me was because my husband did things for his kids that I wished my dad had done for me. I felt they should be grateful. But that emotion was coming from my own Daddy-wounded place. I love my dad, but when he remarried I didn’t see him as often. My stepsons were just kids, reacting the way kids of divorce respond. It wasn’t their fault that I had hurts that hadn’t been healed–yet! I know that now, but I didn’t then. My blood boiled, and I was annoyed with their behavior. Sometimes that anger came out in actions and attitude towards them, for which I am deeply sorry. Is there anything you might need to do differently this Father’s Day? Are you asking God to restore the relationships in your home? Stepmom, how can you be an encouragement to your husband this year? Here are some words from Philippians 4:4-9 that make a wonderful prayer for your home, spouse and extended family. “Let your gentleness be evident to all. The Lord is near. Do not be anxious about anything, but in every situation, by prayer and petition, with thanksgiving, present your requests to God. And the peace of God, which transcends all understanding, will guard your hearts and your minds in Christ Jesus. Finally, brothers and sisters, whatever is true, whatever is noble, whatever is right, whatever is pure, whatever is lovely, whatever is admirable—if anything is excellent or praiseworthy—think about such things. Whatever you have learned or received or heard from me or seen in me—put it into practice. And the God of peace will be with you.” Amen. Copyright © 2018 Laura Petherbridge. All rights reserved. 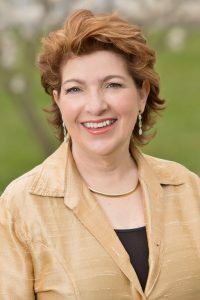 Laura Petherbridge is an international author and speaker who serves couples and single adults with topics on stepfamilies, relationships, divorce prevention, and divorce recovery.